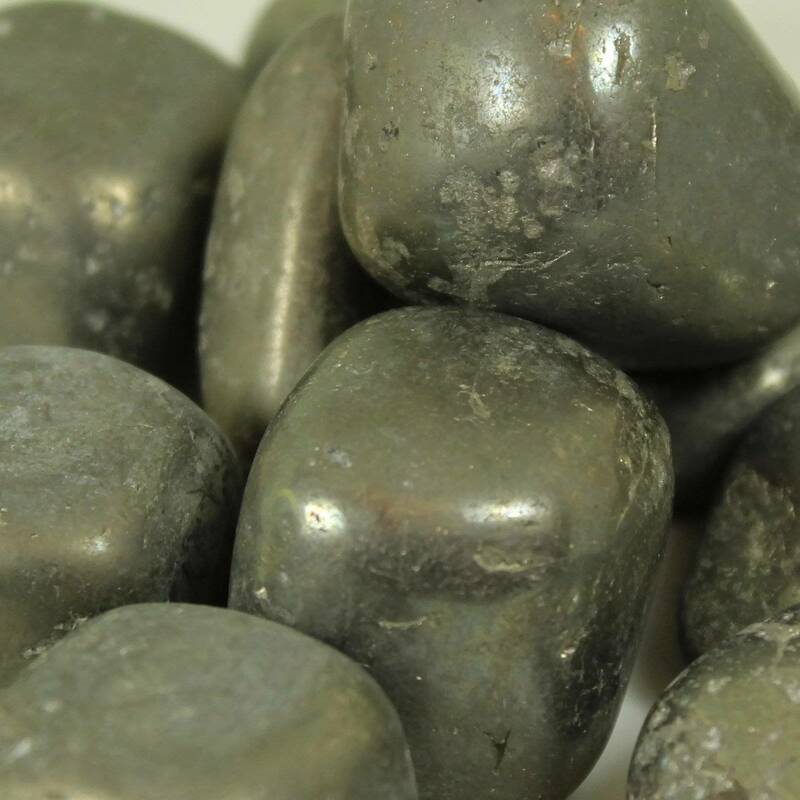 Large pieces of tumbled Pyrite, measuring 20-40MM approximately. Lovely Pyrite tumblestones, usually measuring between 20 and 40 MM long at their longest point; 30-40MM is fairly standard. These stones are quite unusual – they are one of the few tumblestones we sell made of metal. 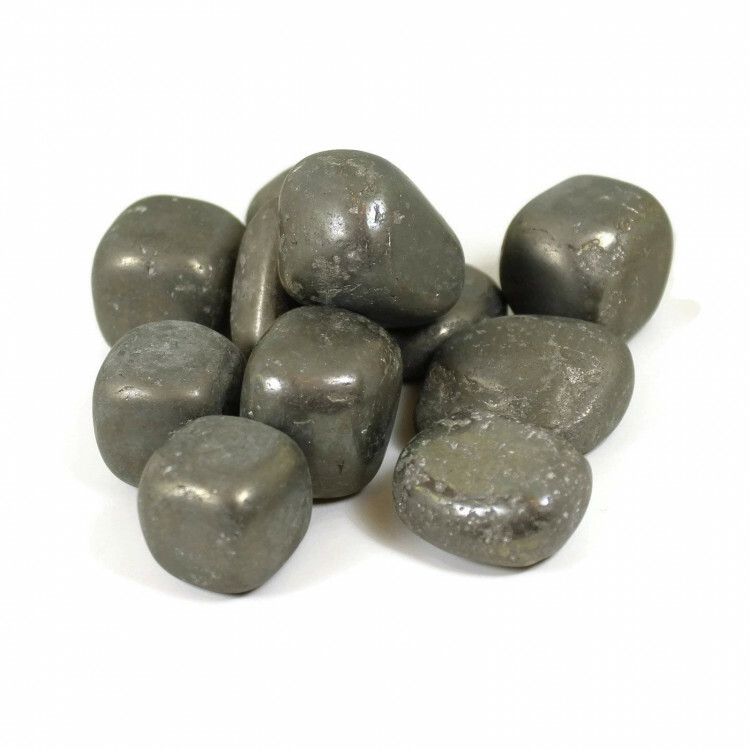 Specifically, they are Iron Pyrite. These are a decent quality – but please expect some variations in size and shape due to the tumbling process. Small stones like this are usually kept in a dish or a vase, and they do look pretty great. However, we do not recommend keeping Pyrite anywhere there will be water or moisture. No flower vases, no fish tanks, etc. It can rust over time, being comprised mostly of Iron. For more information about Iron Pyrite / Fools Gold, and a list of all our related products, please check out our main Pyrite section.